The family of the Brazilian man shot dead by police officers on the London Underground say the police have privately admitted he did not jump the ticket barrier, and had not been wearing a padded jacket. 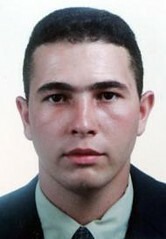 Jean Charles de Menezes, 27, was shot eight times and kiled last Friday by police officers at Stockwell Tube station, in south London. Four of Mr Menezes's cousins gave a press conference in the Holiday Inn hotel in Camden, north London, yesterday before flying his body home to Brazil for burial. The family were adamant that the version of events given by the police at the time of Mr Menezes's killing was contrary to what they had been told in private. They insisted he had not jumped the ticket barrier and had not been wearing a padded jacket. Vivien Figueiredo, 22, said she had asked to be shown the CCTV footage from the station, but had not yet been allowed to view it. However, she said she was told by police officers that her cousin had been wearing a denim jacket and had used his travel card to get through the station barrier: "I spoke to police on that day and the police told me that he had used a travel card. Miss Figueiredo said she was angered by reports that one of the officers involved in the shooting had gone on holiday, paid for by the Metropolitan Police. "They should not be exterminating people unjustly, which is what happened to my cousin Jean," She said. Patricia da Silva Armani, 31, said her cousin had always been law-abiding: "I want to make it very clear about his status. He was legal in this country and he was allowed to work and study. "We urge the British government to punish the officers involved, I implore them to punish those responsible. I call on people around the world to give support so that his death is not in vain." Gareth Peirce, the human rights lawyer for the family said: "A man has died who committed no crime. There is intense public discussion but very little public discussion as to whether those who killed him committed a crime." Ms Peirce said senior political figures had given their interpretation of what happened before any proper inquiry had taken place and called for transparency in any future investigation. A vigil to mark one week since Mr Menezes's death will take place on Friday in Parliament Square. Check it out...THE STORY JUST CHANGED AGAIN!!! Now the poor guy was living in the UK with a 'forged' stamp on his passport...at least that's how it reads! "This information is not intended in any way to prejudice or influence the independent investigation into the circumstances of Mr De Menezes' death, or any possible future proceedings," added the Home Office. This is becoming a bloody joke! There is not one iota of this story that stands up to scrutiny. What a shambles? What a sham?